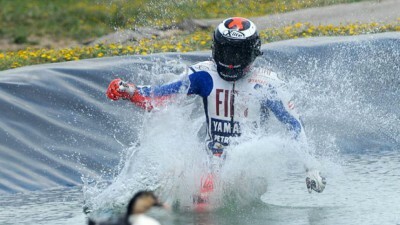 Who is the most successful MotoGP™ rider at Jerez? All of the vital MotoGP™ stats you need ahead of the Gran Premio win de España to at the Circuito de Jerez. 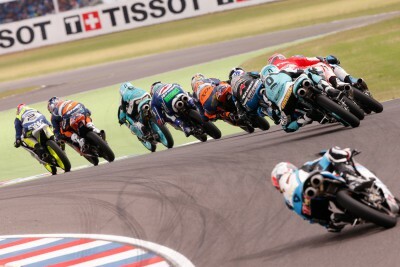 Assen is the only current venue that has been used consecutively for a longer period than Jerez. 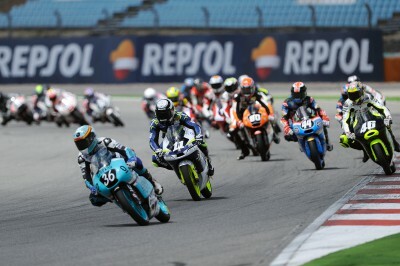 A total of 86 grand prix races for solo motorcycles have been held at the Jerez circuit as follows: MotoGP™ – 13, 500cc – 15, Moto2™ – 5, 250cc – 23, Moto3™ – 3, 125cc – 24, 80cc – 3. 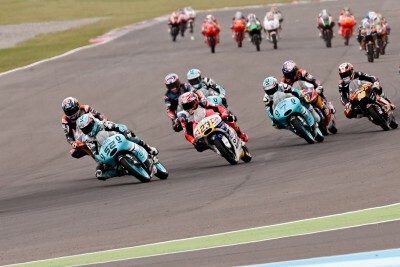 Spain has been the most successful nation at the Jerez circuit, having taken a total of twenty-nine grand prix victories across all classes: 6 x MotoGP™, 4 x 500cc, 3 x Moto2™, 6 x 250cc, 1 x Moto3™, 6 x 125cc, 3 x 80cc. Since the introduction of the MotoGP™ class in 2002, Honda have had seven victories at Jerez, Yamaha five and Ducati have had one win, with Loris Capirossi in 2006. Only three non-Spanish riders have won in the MotoGP™ class at Jerez – Valentino Rossi (2002, 2003, 2005, 2007 & 2009), Loris Capirossi (2006) & Casey Stoner (2012). 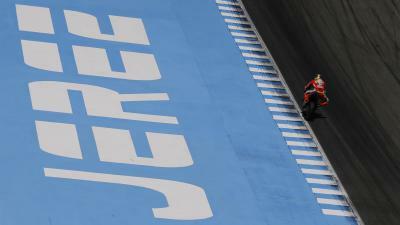 Jerez has been the most successful circuit for the Spanish riders as regards premier-class victories, with a total of ten wins; Alberto Puig in 1995, Alex Criville in 1997, 1998, 1999, Sete Gibernau in 2004, Dani Pedrosa in 2008 & 2013, Jorge Lorenzo in 2010 & 2011, and Marc Marquez in 2014. 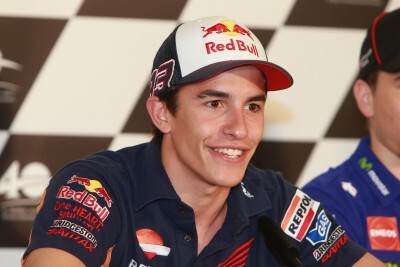 There has been at least one Spanish rider on the podium in the MotoGP™ race at Jerez for the last eleven years, a sequence that started in 2004. Alberto Puig’s victory at Jerez on 7th May 1995 was the first win for a Spanish rider in the premier-class on home soil. Valentino Rossi is the most successful rider at the Jerez circuit with eight grand prix victories to his name; a single victory in both the 125cc and 250cc classes to add to his six in the premier-class. Suzuki’s last victory at Jerez was in 2000, when Kenny Roberts won the 500cc race on his way to taking the world title. 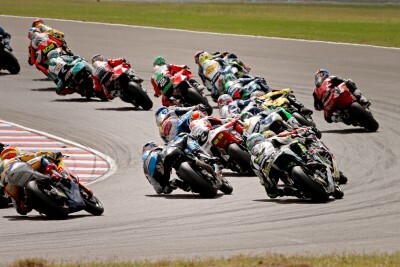 The best result for Suzuki since the introduction of the MotoGP™ class in 2002 is 5th with Loris Capirossi in 2008. Last year Marc Marquez became the first rider to win the MotoGP™ race at Jerez from pole position since Loris Capirossi in 2006. 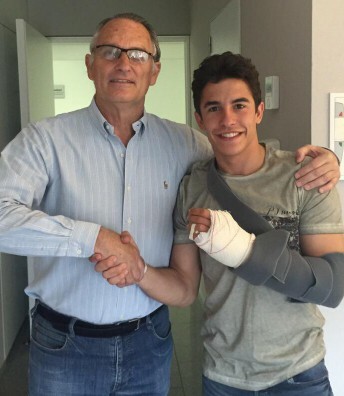 Spain has had at least one winner across the three classes at the Jerez GP for the last five years. 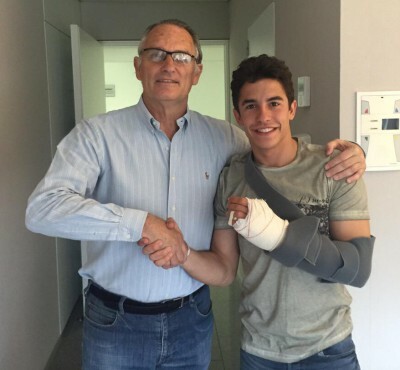 Last year Marc Marquez won for the first time in any GP class at Jerez, and consequently has now won at least one GP race at all circuits on the current schedule. 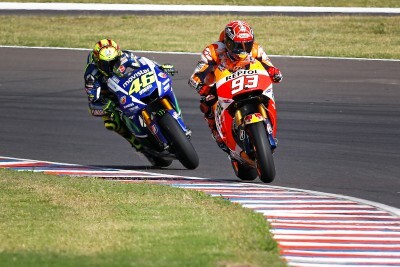 Valentino Rossi and Marc Marquez look set to resume their duel for the 2015 MotoGP™ World Championship at the Circuito de Jerez in Spain.